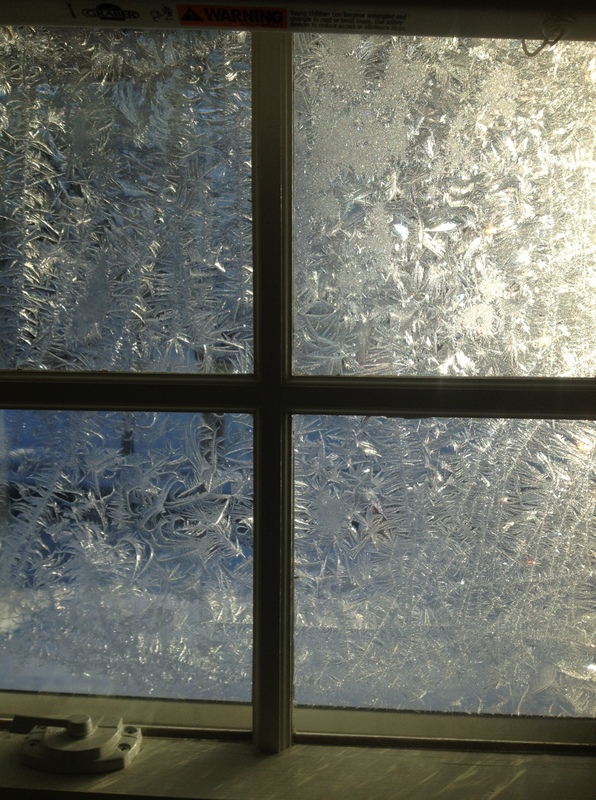 Looking outside the icy cold, frosted window lead to a beautiful surprise. It has been very very cold. The kind of cold that builds strength and resilience. The kind of cold that keeps you trapped inside. I find being stuck inside the house to be a very isolating feeling. I have never been one to like being inside for an entire day. Instead, I like to break free and get out into the world and feel connected to others. When I’m stuck inside the house, I find it unbearably isolating, lonely and somewhat depressing. Even if I’m inside the house for an entire day with my kids, I still feel this innate need to escape and get out. I have always been this way as long as I can remember. I take after my dad who has been said to have “ants in the pants”. He can’t sit still. I can sit still but I like to move. I like to experience life and actively partake in every aspect of it. I like to connect with nature and with others. I like to see what is going on around me. I don’t like to be confined one bit and sometimes when I’m stuck too long inside the house it almost feels like a prison. Of course I love my house. I just don’t like being enclosed within boundaries or walls. If I had my pick, I’d be outside in the open air with life surrounding me. This is what makes winter so hard for me. It is a test of the soul especially when I cannot get outside as much as I need. A few more months and things will start to change. The days will get longer, the ice will melt and the rebirth of spring will revive my soul. For the cycle of life is so incredibly revitalizing and pure. The Basho poem is very fitting. Currently right now it sounds like the big bad wolf is right outside my front door! I understand these emotions very well Nicole. This entry was posted on January 26, 2014 by thirdeyemom in RANDOM THOUGHTS and tagged Life, Minnesota, reflection, winter.